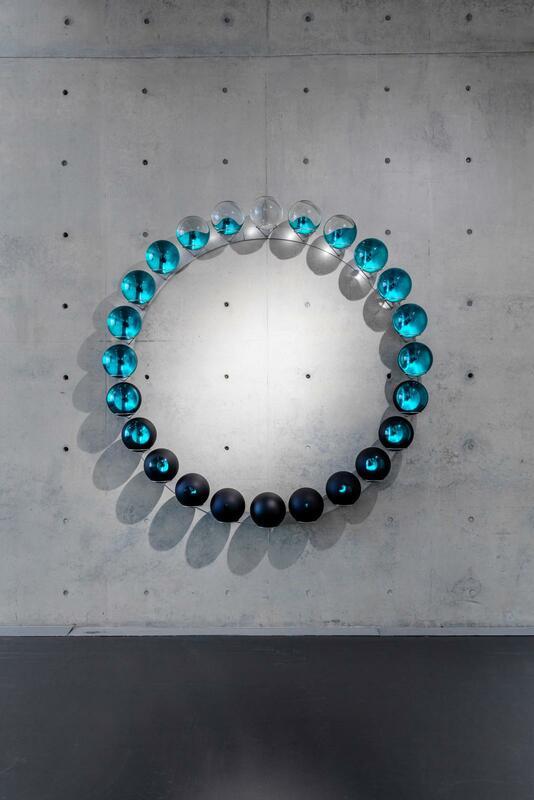 Twenty-four glass spheres are hung in a circle on a wall, and each sphere is infused with a rich blue colour that seems to emanate from within the glass. This vivid colour is created by a circle of cyan paint and chrome applied to the back third of each sphere. When viewed from the front, the entire circle is permeated by bright colour, and the concave reflective inner surface of each sphere produces an inverted image of the viewer and her surroundings within it. When viewed obliquely, the colour recedes and the clarity of the glass re-emerges. 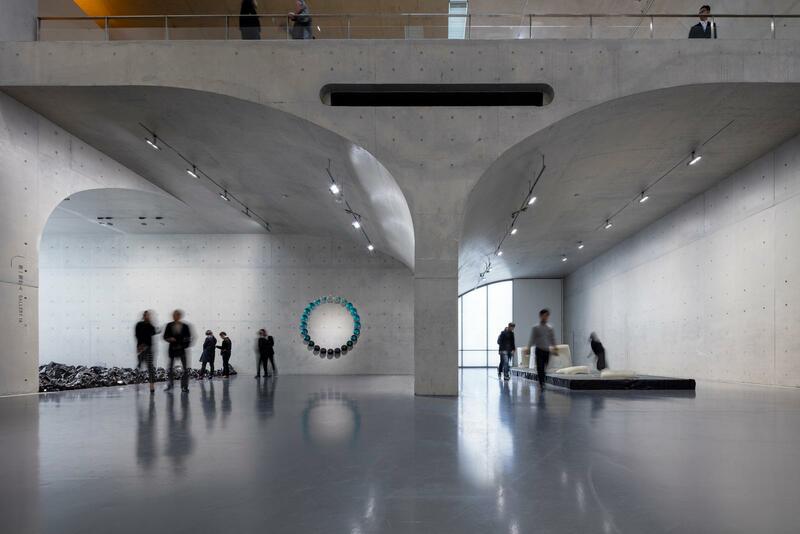 The artwork thus invites the viewer to move around in order to observe the work’s changing appearance and to examine the multiple reflections.